IS ADVENTURE TRAVEL AN ENDANGERED SPECIES? If you believe everything you read on the Internet or see on the tube, you would curl up on the couch, put another lock on your door and wither away. In a virtual reality age we are letting laziness and fear ground us into the kind of person we promised ourselves we wouldn’t become. Instead of adventure we are opting for the supposed safety of home or trips that are familiar and less compelling. But are we safer on a Caribbean cruise or in Paris or on a Kilimanjaro climb? Cruise ships are not exactly the safest places these days. Paris is dangerous because of jihadis, so let’s not go there. Ebola was in Africa, let’s avoid that too. Wait a second… let’s get out our maps, turn off the TV and do our own homework. Ebola was in West Africa, not East Africa, which is thousands of miles away and where Mt. Kilimanjaro is located. Why not climb Kilimanjaro? Unless you’re an intrepid adventure traveler who does his own research and planning you are letting fear mongering control your travels and essentially your life. The Internet age was a boon, but also a threat to true adventure travel. There are a lot of fake adventure trips offered by fly by night Internet companies that never get their hands dirty in foreign countries subcontracting to locals who may or may not have their act together. This leads to a lot of bad trips that turn people away from overseas group adventure travel. Again if you don’t do your research you can end up hiking with the hordes in a worn out national park or a bucket list place that may have once been adventure travel worthy, but not any longer. China is one such place. In 1980, there were no tour groups, souvenir stands or guards making sure you pay fees. It was not reconstructed and it was exciting. Tourism was just starting in China. When you walked out into Beijing’s morning rush hour traffic you heard the tinkling of bicycle bells in a sea of green Mao jackets going to work. China’s gung-ho entry into the global economy killed its adventure travel lure. Places change rapidly; they can go from exotic to standard in a decade. They can go from biodiverse to sterile just as quick. It’s up to you to keep pace with rapid change if you’re going to have that lifetime experience on the road. It’s also up to you to remain resolute in your quest to wring as much as you can from each day and not let age dull your thirst for new experiences. In 1994 things were changing. The train ride from Cuzco to Aguas Calientes was again safe as Shining Path guerillas had been routed. Tourism was getting going and the media wanted to spread that good economic news. Today there are over 1.2 million visitors a year getting off the train, a 700 percent gain in less than two decades. Machu Picchu’s an iconic setting, perhaps the world’s most dramatic archaeological site, is just about on everyone’s bucket list. But is it a true adventure travel destination? If adventure travel is about getting out of your comfort zone to push your physical, mental and spiritual boundaries, we’re not sure. Peru’s much less traveled Cordillera Blanca fits our definition better, but adventure travel remains in the eye of the beholder. Each of us must define it for ourselves. Thankfully, adventure travel, although compromised, is far from dead. There are still worthy places and quality companies who can get you there, but it’s up to you to seek them out. 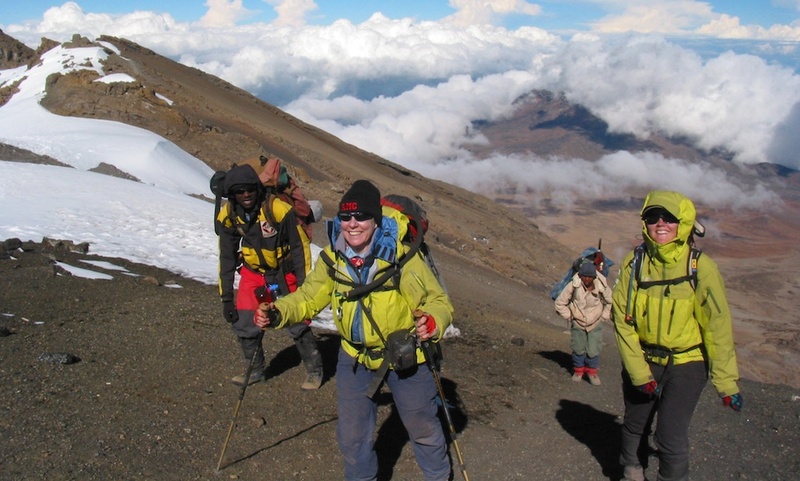 As hard as you train to summit Kilimanjaro that’s as hard as you need to do your homework. Find companies that have the best safety records and the most experience. Don’t just send them email questions, get them on the phone, ask tough questions and see if they honestly answer them. Adventure travel is probably 95 percent mental, 5 percent physical. It’s about having the courage to get off the grid and conquer your fear. As some sage once said, ‘If you think adventure is dangerous, try routine–it’s lethal.” So get off the couch, fire up your imagination and start doing your homework. Life is too short not to live it and travel adventurously.